If you are an owner of an HTC EVO 4G, it's possible that one the contributing factors to your buying the popular smartphone may have been the HDMI output feature. After hearing that it can produce said capabilities, maybe your mind began dreaming up all kinds of situations where showing your phone's display on a TV in HD resolution could be very handy. If so, then chances are you were a little bit deflated as you saw the fine print that only Gallery and YouTube apps would work with this handy feature (is that a yawn I hear?). Today all of that has changed as FullHDMI for HTC EVO, previously in beta and requiring custom kernels, is now in the Market and can utilize most features with any kernel (cue the applause). FullHDMI does what you probably hoped your EVO would be able to do from the very beginning: to truly mirror your EVO's display - in real time - on a television screen. It will do it in 720p - and in lower increments if you prefer. 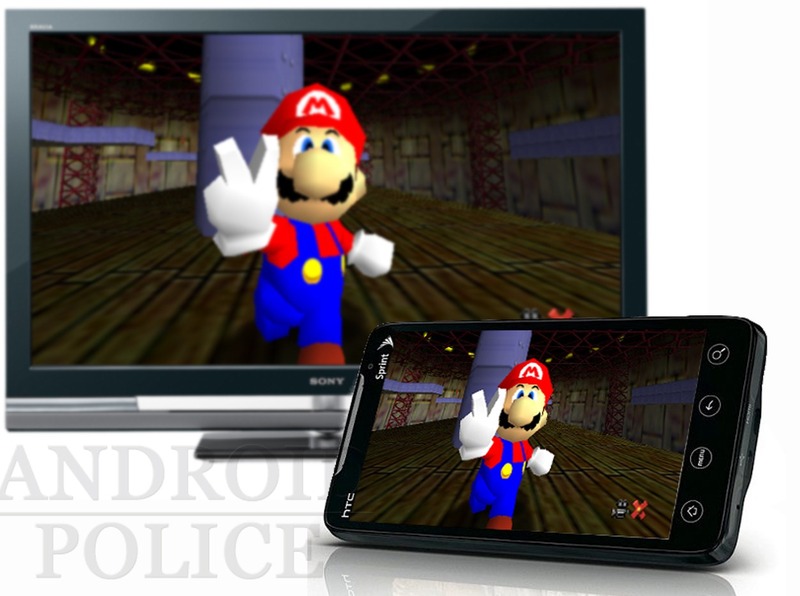 Now game emulators, video files, Flash videos and Android games are all fair game for large-screen viewing. You could even play Dungeon Defenders on your 56" flatscreen and make your boastful XOOM-owning friends (with their measly 10.1" displays) eat their words. In fact, with a Wiimote, N64oid, PSX4droid, and a handful of other emulators, your EVO could now be, for all intents and purposes, considered a portable version of every gaming console made before the turn of the century. One caveat to keep in mind is that sound will only be broadcast through your TV if you are running an HTC Sense based ROM. Those running AOSP ROMs (like CM7) will only get sound through their phones. For that reason, this may be one of the few times I would advise EVO users to consider using Sense over CyanogenMod. Of course you will need a specially made HDMI to Micro HDMI cable (not included with EVOs) in order for this to work. Some will charge ludicrous prices for these, but a quick search on Amazon yielded cables under $2 that many EVO users wrote rave reviews about. Speaking of reviews, early Market feedback is almost entirely in praise of FullHDMI's ability to unlock one of the most requested features by EVO users. You can check out some of the functionality of the new app in action in the video below. FullHDMI is $2.99 in the Market and, if you are an EVO user, we can't imagine too many better ways to spend three bucks. Links are below. Source: Android Market - thanks, Sam!